Size of the INDUSTRY The global requirement is estimated at around 7.4 million tonnes, against that consumption in India as only around 110,000 tonnes. Output per annum Demand in the domestic market is expected to grow by 8-10; India is expected to have an installed aluminum capacity of 1.7 to 2 million tonnes per annum by 2020. Percentage in World market Currently Aluminium is also the second most used metal in the world after steel. Due to the fact that consistent growth of Indian economy at a rate of 8%, the demand for metals, used for various sectors, is also on the higher side. Indian Aluminium Industry was first established in the year 1808 and it took almost 46 years to make its production commercially viable. The research work of the country took several years and resulted in extracting the Aluminium from the ore. On earth Aluminium is third most available element constituting almost 7.3% by mass. Currently Aluminium is also the second most used metal in the world after steel. Due to the fact that consistent growth of Indian economy at a rate of 8%, the demand for metals, used for various sectors, is also on the higher side. As a result, the Indian Aluminium Industry is also growing consistently as in the year 2009 the aluminium industry in India saw a growth of about 9%. In the year 1938 the production of Aluminium started in India when the Aluminum Corporation of India's plant was commissioned. The plant was set up with a financial and technical collaboration with Alcan, Canada which had a capacity of producing 2,500 tonnes per annum. In the year 1959 the Hindustan Aluminum Corporation (Hindalco) was set up; which had a capacity of producing 20,000 tonnes per annum. A public sector enterprise Malco which had a capacity of 10,000 tonnes per annum was commissioned in 1965. Then later in the year 1987, National Aluminium Company (NALCO) was commissioned to produce Aluminium with a capacity of producing 0.218 million tonnes. Indian Aluminium Industry Government started regulating and controlling during the 1970's. Restrictions in entry and price distribution controls were common in the Aluminium Industry. Aluminium Control Order has been implemented where the aluminium producers had to sell 50% of their products for electrical usages in the country. Later in 1989, the order was removed as the government decontrolling was revoked. In the year 1991 with de-licensing of industry, the liberal import of technologies and capital goods was started. The liberalization resulted in a growth rate of 12% of the industry, comparing to the growth rate of 6% during the 1980. Indian Aluminium Industry is a highly concentrated industry with the top 5 companies constituting the majority of the country's production. With the growing demand of Aluminium, the industry is also growing at an enviable pace. In fact, Aluminum production in India is currently outpacing the demand. Although India's per capita consumption of Aluminium stands too low (under 1 kg) as compared to the per capita consumptions of other countries like US & Europe (range from 25 to 30 kgs), Japan (15 kgs), Taiwan (10 kgs) and China (3 kgs), the demand is growing gradually. In India, the industries that require Aluminium Reserves most include power (44%), consumer durables, transportation (10-12%), construction (17%) and packaging, etc. The nonferrous metals industry is a key sector in the Indian economy as it meets the requirements of a wide range of key industries including engineering, electrical and electronics, infrastructure, automobile and automobile components, packaging etc. Aluminium is major a non ferrous and highly versatile metal used in a variety of industries including transportation, packaging, aerospace, machine building, architecture, automobiles, cooking utensils, consumer durable goods and the electrical sector. India stands at the eighth position in the list of leading primary Aluminium producers in the world. The country saw a significant growth in Aluminium production in the past five years. In 2006-07, the production target of Aluminium in India laid by the Ministry of Mines, Government of India was 1,153 KT, which was augmented to 1,237 KT in the next year (2007-08). Because of the growing demand from the construction, electrical, automobiles and packaging industry, the production of Aluminium also hiked up. In FY 09, the total Aluminium production in India was around 1.35 tonnes. The Indian per capita Aluminium consumption is less than 1 kg compared to about 3 kgs in China and 30 kgs in the US. The fact that almost 44% of the domestic aluminium is consumed by the electrical sector and there are only about 300 applications for the metal in India leaves a lot of room for the domestic sector to grow. Just to put things in perspective, aluminium usage on the global front is tilted towards transportation and packaging sectors and there are an estimated 3,000 applications for the metal. By the end of 1990s to 2002 after a stagnant consumption of primary Aluminium in India when the consumptions were between 500 - 600 K and started rising. The consumption reached at 1,080 KT in 2006. The Aluminium consumption in India is dominated by the industries like power, infrastructure, and transportation etc. The global requirement is estimated at around 7.4 million tons, against the consumption in India as only around 110,000 tons. India's share in the global downstream sector is low as compared to other developed countries. India has nearly 10% of the world's bauxite reserves and a growing aluminum sector that leverages this. Demand in the domestic market is expected to grow by 8-10; India is expected to have an installed aluminum capacity of 1.7 to 2 million tons per annum by 2020. In the year 2005 the consumption of Aluminium in India of 0.7 kg per person was very low in keeping with the countries low GDP. However the low per India capita consumption of aluminum is in fact an opportunity for growth in Aluminium consumption against the back drop of fast growing economic conditions in India. However, aluminum consumption has increased 12.6% in 2006 to around 1.08mt. 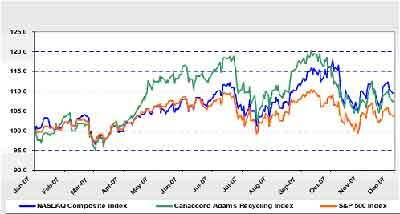 Consumption is estimated to have increased to a 5 year CAGR of 12.9%. Secondary Aluminium demand also shot up to 0.6 MT in the last few years. In India the domestic aluminum production exceeds the domestic demand, the imports on an average 15-20 % of the total supply of aluminum. Imports of primary aluminum products is less than 10 % of domestic consumption. India also exports aluminum products such as scrap, powder and flakes, bar rods, foil, pellets, sheets, tubes and pipes. Exports figures are around 82000 tons annually and the major importer countries of Indian Aluminum are Bangladesh, Sri Lanka, Egypt and Iraq. • In 1990's, following a slower than anticipated growth in domestic demand, India is now experiencing growth rates for Aluminium products of 3-6% with forecasts that the rate will further increase to 2020. Consequently, numerous alumina expansion projects are under way, the newest proposed for the State of Odisha where 71% of India's known bauxite reserves are located. • India has bauxite reserve base of 1.44 BT and reserves of 0.77 Bt. In the year 2006 with production of 13, India accounted for around 7.3% of global bauxite production. India's production of Aluminium aggregated to 1.11 mt in 2006, accounting for 3.3% of global production. • In India there are more than 200 bauxite mines in operations. Most of these are small open cast and manually operated. Fifteen major deposits account for 75% of the country's production. These are mostly the captive bauxite mines of the major alumina producers in the country and the mines of Gujarat Mineral Development Corporation (GMDC). Among all of them the Panchpatmali bauxite mine of National Aluminium Company Ltd. (Nalco) in Odisha accounts for about 40% of the country's production. 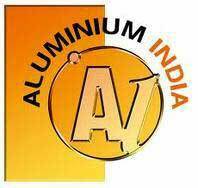 • Indian Aluminium Co (Indal) has started with representations before financial institutions emphasising on the quality of its executive management, carefully skirting the thorny issue of making any direct recommendation against the open offer announced for 20% stake by Sterlite Industries.